We know that there will be days when you cannot get your garage door open, or close properly. During this garage door repair emergency, give us a call and let us help you. 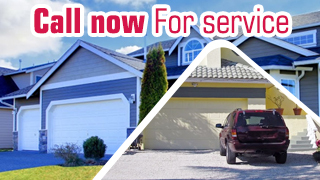 At Garage Door Repair Taylorsville, we have expert personnel who can be at your place in a very short time. Whether you are getting your car out, or your car in, a damaged garage door is not just a nuisance, it is also a security risk. An open garage door leaves your house unsecured. You need to have that fixed as soon as possible. We have the team ready to help and we have the vehicles to get to your place with the necessary spare parts from our inventory. Give us a call now!